Lamont Larsen is a partner in the Energy Group of Davis Graham & Stubbs LLP. His practice focuses on upstream transactional matters for the oil and gas industry. He represents clients in the negotiation of purchase and sale agreements, exchange agreements, exploration, participation, and farm-out agreements, joint operating agreements, and other agreements pertaining to the exploration, development and production of oil and gas. Mr. Larsen’s practice also includes midstream transactional matters, including the negotiation of joint ventures and purchase and sale agreements covering midstream assets, along with gathering, processing, transportation and disposal agreements for gas, crude oil, and water. He also has extensive experience conducting oil and gas title examinations and preparing all forms of title opinions covering fee, state, and federal lands. Mr. Larsen is an active member of the Rocky Mountain Mineral Law Foundation and has authored several papers and spoken extensively at various continuing legal education events. He was named a “Rising Star” in Colorado by Super Lawyers (2015-2017) and was selected for inclusion in Who’s Who Legal: Energy (2015-2018). 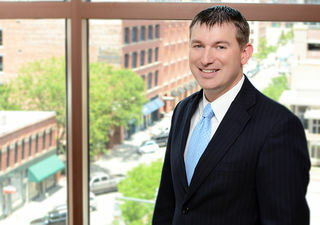 Prior to joining DGS, Lamont practiced oil and gas law in Texas for two years. He is admitted to practice in Colorado, Wyoming, Texas, Utah, and Pennsylvania (inactive). Authored over 100 title opinions covering fee, federal, and state lands in the Rocky Mountain region and Texas. Authored acquisition title opinions and assisted with due diligence for a $330 million purchase of oil and gas assets in Colorado. Authored acquisition title opinions and assisted with due diligence for a $250 million purchase of oil and gas assets in Colorado. Due diligence for a $125 million purchase of a coal mine and related rail and power line assets in Montana. Examined mineral title and assisted with due diligence for an in situ uranium project in Texas.